The Internet is a beautiful place if things are set at a right place. And today is another day where the Internet will amaze you. 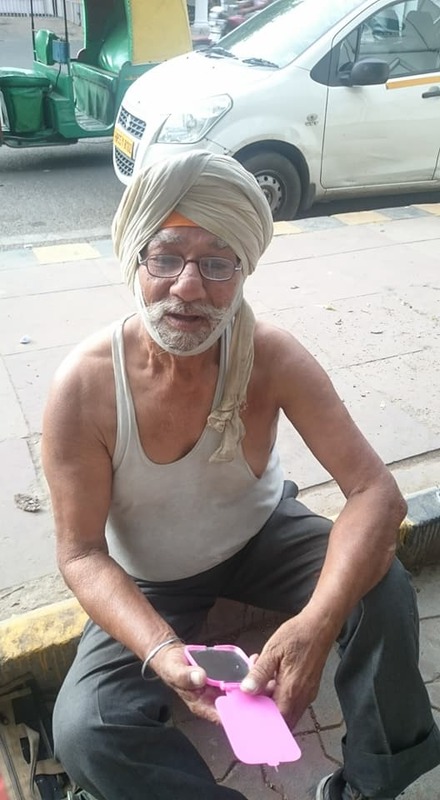 A few days back, This beautiful place has helped a 76-year-old man named Raja Singh Phull, who is an Oxford graduate and for many years he was living on the streets of Delhi. Don't Worry, he has got a shelter now. There will be no surprise if I say Facebook post and our lovely Indians helped him find his new shelter. 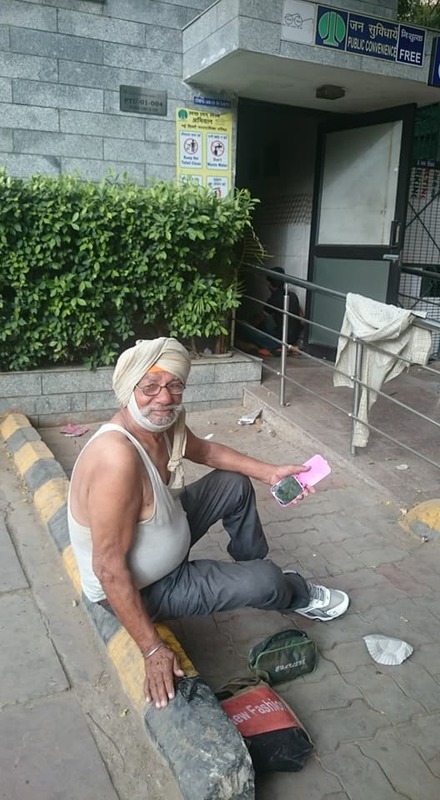 Day's back, Avinash Singh a Facebook user, shared the post where he wrote the story of a 76-year-old man Raja Singh Phull. He is an Oxford graduate who shifted to India, It was the year 1960s when his brother called him. Both the brothers were doing motor parts business in Mumbai. And after his brother's death, he found it difficult to manage the business alone, So the business got shut down. Today 76-year-old Raja Singh Phull is living a nomad's life - sleeping at New Delhi Railway, getting ready at a Delhi Government's Sauchalaya at Connaught Place - the first one on the left as you hit CP from Panchkuian Road. and sits through the day at Visa Centre next to Shivaji Stadium Airport Metro Station at Baba Khadak Singh Marg next to Hanuman Mandir!. "I fill forms, help and guide people earning from zero to 100 rupees, sometimes more!" The FB post says that Raja Singh Phull kids live in the US & UK and both are married. The kids have never even tried to contact his father in these difficult time. I earn and buy my food. For Langar, I need to contribute. If I'm unable I don't have the right to eat there. And now the most important question which might be bouncing in your head, How can a man who is an Oxford University passout could not able to get a job? Avinash Singh post was shared by thousands of users and each share helped Mr. Raja Singh Phull in it 's own way. Now, Mr. Raja Singh Phull got his new home, he will be residing in Guru Nanak Sukh Sala at New Rajendra Nagar in Delhi. By going through these kinds of great stories of people helping each other pushes us to do more for humanity. Kudos to everyone who help each other whenever possible.